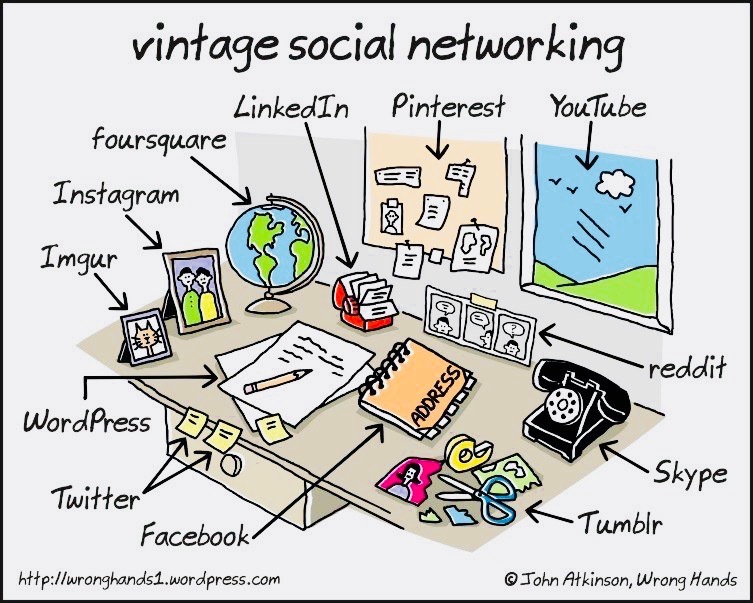 There are more ways than ever before to connect with people: Facebook, Instagram, LinkedIn, Twitter, Tinder etc. More ways to reach out to people = more human interaction = more life meaning. Right? You’d think so. But it seems what we’re actually getting is more depression, more loneliness and less life satisfaction. Maybe, then, to live a meaningful existence, you have to connect with yourself first. Hamlet. Don’t panic, it’s just a word. Think of him as just one more soul in the world – just like you on certain days! – angst-ing over what to do next. Do I listen to the ghost of my father or what? Until the swords break out and the queen has drunk poison, Shakespeare’s most introverted play is a heavy, gloomy tale. But at least Hamlet did some deep thinking, and wrestled with a few difficult moral choices. Imagine if there’d been social media in those ye olde times: young Hamlet no longer pondering to be or not to be or knocking off his uncle, but chasing likes and quality high-profile followers to his Twitter account. Imagine him joining a sympathetic online thread of conversation, one that appears to be full of comforting certainties and friendly faces: those convenient if tyrannical friends who he’ll never meet. He’ll look at the photographs of their overly-curated lives. Being a sad fellow he might – as many sad people do on social media – pretend to be thriving, so as to fit in with the purported winners in life. On the other hand, sadness is a reliable and well-worn strategy for getting attention and Hamlet has plenty to work with. Bro, my girlfriend went mad and drowned herself in the river. She was my everything. Miss you babe. The point is, suddenly Hamlet’s brain space is taken up with social posturing and politics and the anxiety that comes with being suddenly blocked and ghosted by people with whom he seemed to have shared so much in common. Furthermore, he’s lost his normal good manners and thoughtfulness. As per the emotional rules of becoming connected – as we like to call it – Hamlet adopts the digital citizen’s quick and impulsive right of reply. Letting fly without thinking about it. Too much social media makes us shallow and sad. The net result? According to a Canadian study Hamlet falls victim to the ‘shallowness hypothesis’. Where he went looking for a deep and sustaining connection with the world, he’s ended up dabbling in the kiddies pool. Other research finds that too-frequent use of social media leads to loneliness and lower life satisfaction – especially if your self-esteem is shaky in the first place. Consequently, high frequency use of social media is now being linked to depression. It can make us feel like life has no meaning, too. Social and digital media are great resources, but it’s not where you go to find happiness or deep personal connections. What the research tells us: not only do we fail to wholly connect with these opinionated ghosts in the machine, we end up losing ourselves (especially younger adults) and what we stand for, in part because we haven’t wholly articulated and defended our values. But there is something more primal at play here: social media does not allow us to be alone with our thoughts. Which is probably what is driving us into cyberspace in the first place – and this is where things get heavy in a Hamlet kind of way. But of course, as human beings we have always questioned our worth. And really, social media is merely a powerful enabler for escaping from the big questions – and from the truth that defines us as humans: living in the show of our inevitable, eventual passing. Take home message? Chase connections with yourself first. Wisdom by Japanese swordsman, philosopher, writer and rōnin, Miyamoto Musashi. Image via Pinterest. Once upon a time, all had a heaven to go to in the after-life. But nowadays that cosmology doesn’t figure for many people. Nothing awaits after death and so what is the point? Where once there was God, there is now the goddesses of Instagram – and plugging your ears to the loud clicking of the clock on the wall of your own life. Time’s passing. Go back to the 50s, and you’ll find it’s all cool: the chain-smoking, black coffee drinking French existentialists – Jean-Paul Sartre, Albert Camus and such – had already solved the problem of living with knowledge of one’s death, and that life itself has no intrinsic meaning. The answer is to face up to it, take yourself seriously: under the pressure of time and in the face of absurdity, make your own life as a free person, and therein you’ll find your meaning or at least your purpose. Interested in making meaningful connections in the wide world? Connect with yourself first. Get off your chair. Go to the front door. And before stepping out into the everything that makes up the everything, take your pulse with your finger, device or app. Marvel at your heartbeat. What’s it telling you? Get moving. HeadUp beta is currently being tested by a small group of our loyal Insiders – an exciting milestone for us! And you know what sets us apart from all the other noise on the Internet? Our sole purpose, raison d'être and something we’re pretty damn good at is connecting you to the person who matters most: you. We’re here to help you look within – and in the process – really get to know yourself. If you’d like early-bird access, register here.